Guanajuato in Central Mexico offers visitors something different from the usual beaches or mountains. It has a museum packed with mummies that were naturally formed within the local cemetery. This is not for the squeamish as it could be described as a creep sight. In days gone by, there was a law which required family members of those buried at the cemetery to be charged an annual fee. If this fee was not settled for five consecutive years, the body would be exhumed to allow for the crypt to be re-used. During 1865, the workers at the Santa Paula cemetery exhumed the remains of a medical doctor, Dr Remigio Leroy. To their astonishment, the body had not decayed at all, but had, over the years, mummified. As time went by, the workers found more bodies in this condition and placed them in the vault. Once word of this got out, people started to visit the mummies, without the knowledge of the authorities. The mummies gained popularity and eventually a museum was set up close to the cemetery to allow for the mummies to be exhibited. The mummies on display were mummified naturally, and it is only recently that researchers have discovered that this was due to the climate in the area. The most fascinating aspect of visiting this museum is that you will be able to view mummies of different ages. The smallest one is a fetus. There are several children, males and females of different ages in the museum. The ones that are displayed are believed to have been resident in Guanajuato between 1850 and 1950. 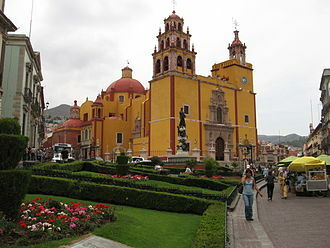 This city is the capital city of the state, Guanajuato. There are around 80000 inhabitants and has been declared a UNESCO World Heritage site. It was previously a mining town and was extremely important area during the war of Independence. If you want to visit this special museum, you can reach the area by car. To ensure that you enjoy this rare site without interruption or problems, you should take note of the rules and regulations in Mexico. You should also remain alert when you travel on the roads in Mexico as the rules of the road will more than likely be very different to what you are accustomed to. 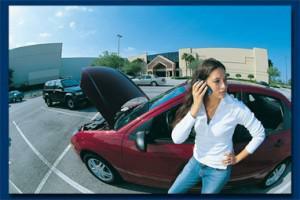 The first thing on your to-do list should be to obtain Mexican auto insurance. This is a vital piece of insurance if you intend travelling on the roads in this country. You should ensure that you have adequate liability coverage for the state of Guanajuato. Your insurance provider should be able to provide you with the amounts stipulated by each state. The easiest method to purchase Mexican auto insurance is to do it online. You have the opportunity to purchase it at the border, but there are normally very long queues, which means you will be pressured into taking the first policy you are offered. This may not always be in your best interest, so it is wiser to do it in the comfort of your own home.You can purchase Mexican auto insurance online via this link. Once you have chosen the type of policy, liability only or comprehensive, you can pay for it online and print a copy or two of the document. Ensure that you pack the printed copy of your policy and carry it with you whilst travelling. I can’t save much on gasoline when I’m driving on the road, that’s why I just balance it by getting this Mexico auto insurance. At least, if there’s a claim I can rely on in case I face an accident. Gasoline may increase the price from time to time; but my car insurance remains at a fixed in price. Getting the best Mexican insurance policy is the best I can get as a car owner. I need this insurance so that I get the right claim later. For me, driving could never been this easy. I can travel in highways and enjoy driving with insurance. In finding the best Mexican insurance policy, it’s best to compare price and coverage. 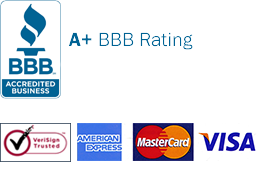 Getting quotes from five insurance companies gives you the best way to choose. It’s not ideal to get just any option for the sake of getting insured. It pays to find the best. I feel much like a young kid each time I’m with my three children. Great fun and activities are a part of their growing years. So I always take them to Mexico during vacations to have new activities. My Mexican insurance helps me so much to enjoy our protection. There are lots of things to do in Guanajuato, Mexico. You can drive along seeing eye-catching places everywhere. By the way, you can forget everything but not your Mexican auto insurance. Before planning to see Guanajuato in Mexico, I must buy first my Mexican insurance. Being a tourist, I want to comply with the Mexican law as far as owning auto insurance is concern. Once I get to Mexico I want also to see the UNESCO World Heritage sites! You can save significantly with these two things: don’t buy Mexican insurance at the border and don’t get a single quote from one car insurance provider only. Don´t take things for granted. If you’re planning for a truly romantic honeymoon, ensure you plan sensibly for it and make it really memorable. Since it involves traveling, be sure your Mexico insurance goes with you. Be a responsible ATV driver! Get your vehicle covered and ensure it includes damage not only to your vehicle but the other vehicles, too.